We Were Eight Years In Power: An American Tragedy. Why waste time knocking another writer’s immensely successful hustle when the target publicly decides to do it (somewhat) to himself? 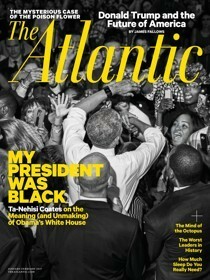 Ta-Nehisi Coates comes thisclose to admitting that he went a little bit Hollywood because Barack Obama’s 2018 campaign and presidency allowed the Howard University dropout to travel the Horatio Alger-Don King trail “from the unemployment office to the Oval Office.” One of his articles collected here, a select compilation of his Obama work for The Atlantic magazine, actually ends with his moving-on-up like George Jefferson and Weezie; that the scene ends a piece arguing that Malcolm X’s legacy lived in President Obama—the president who, in the beginning, apologized to a white police officer who arrested Harvard Africana Studies professor Henry Louis Gates for breaking into his own house, and, at the end, refused to pardon Marcus Garvey—makes it, in retrospect, even more puzzling and saddening. (Coates now admits his optimistic idea was “strained.” Really? You don’t say. :)) The honest-as-I-can-be new introductory essays are vitally important to understand the writer’s formulations as he was “swept away” by the Obamas while, not coincidentally, Michelle’s and Barack’s presence on the national stage “opened up” an elite white journalistic market to New Negroes who supposedly had new, innovative things to say. 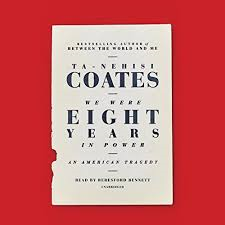 However, what makes this book and the superbly talented writer more than redeemable are its/his final two angry essays, “My President Was Black” and the epilogue, “The First White President.” Coates’ 2016 post-election night analysis of America contains immense socio-historical clarity. The pieces shake up the writer and the reader, allowing all to see the abandonment of Black America’s eight-year experiment with being adjective-less and to introduce in detail the insidious power of whiteness. (Taken together, the Trump-election duo pack a much better punch than his too-much-heralded 2015 single-essay work, “Between the World and Me.”) With The Donald now in charge whether people use his name or not, Coates’ years of literary sharecropping as forgotten as Friendster, and his white readers now fully understanding that they have never been, and are not now, innocent, the book’s end marks the beginning of a golden era of his writing. My New Article From The United Nations About The New U.N. Deputy Secretary-General…..
Richard: You still determined to break your neck. Juanita: Well, it’s a neck-breaking time. I wouldn’t like to appear to be above the battle.